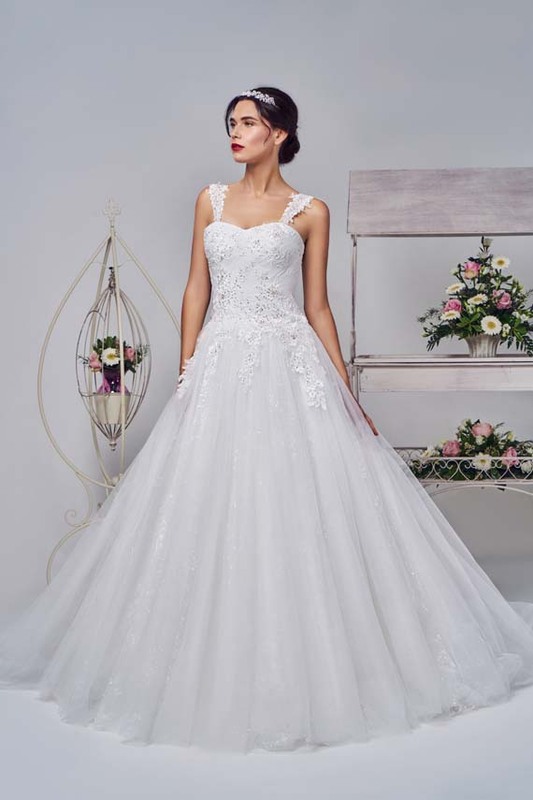 A sweet tulle princess ball gown with thin lace straps. The soft pleated bodice has sparkle motifs appliqued onto it. The delicate straps lead round to a corset back and cathedral length train.